Today was the first day back at school for us (after a two week break) and we spent it cooking pizza in our edible garden. 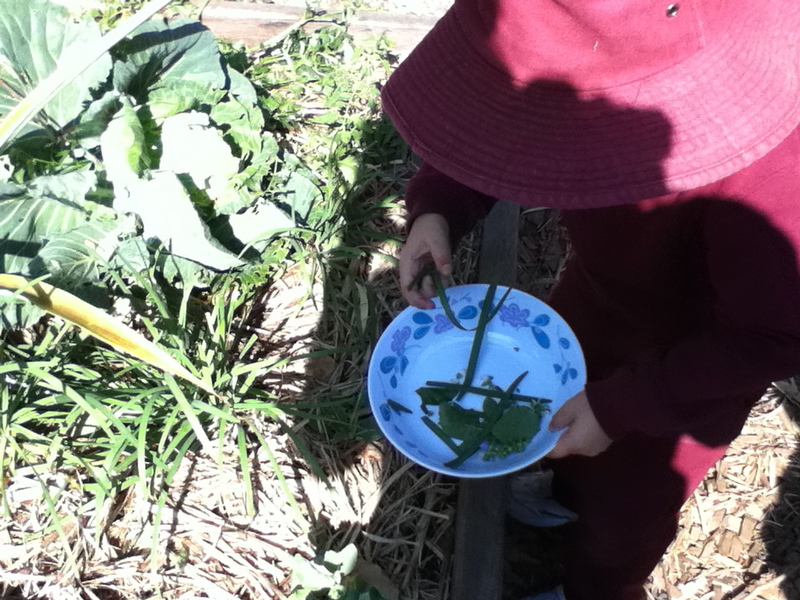 The children normally spend time in the garden each week but today was the first time that they have been able to harvest and cook what they have planted and cared for. The children picked garlic chives, thyme, oregano, basil and spinach which they took back to their tables to wash. They spread a delicious homemade tomato sauce onto pizza bases, then sprinkled cheese on top. Their pizza went into the wood fired oven and while they waited, the children washed up the utensils they had used and set the tables. Once cooked, the children put the herbs they had picked on top of their pizza and sat down together to enjoy the delicious meal they had prepared. I was surprised to find that all the children tried all the herbs they had picked without any encouragement from me and I had to smile when J exclaimed that this was going to be the most delicious thing he had ever eaten! 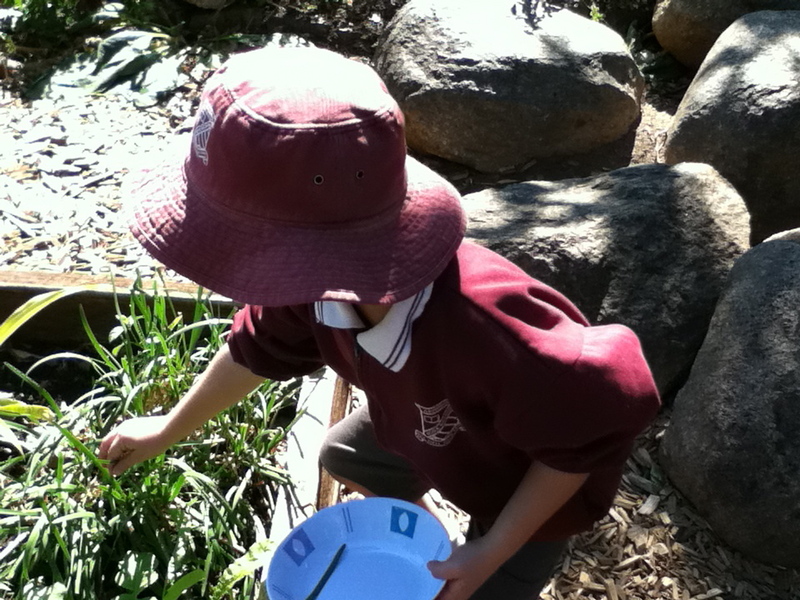 Once finished, the children washed and dried their dishes (one group even formed a production line in which everyone had a job), tipped their water over the plants and fed the left overs to the worms in the worm farm. This was such a lovely experience during which the children were not only learning about co-operation and responsibility but also about food preparation and sustainable living.